Tesla in Texas: Tesla Motors Inc (NASDAQ:TSLA) wants nothing more than to expand its operation into new states. While this is a process, it is one that the company, spearheaded by Tesla’s CEO Elon Musk, is willing to take on. Most recently, Tesla Motors Inc (NASDAQ:TSLA) has been making a strong push to sell its vehicles direct to consumers in the state of Texas. This is a big undertaking for the company, being that there are many who oppose the move. As you can imagine, this is not something that dealers are happy about. Does this mean Tesla is backing down? Definitely not. Does this mean that consumers back the dealers? Once again, the answer is no. The Austin Business Journal recently ran a poll, asking consumers if the state should allow the electric car company to sell its vehicles directly to the public. Of the 1,888 people who responded, 85 percent said yes, 12 percent said no, and 3 percent were unsure. 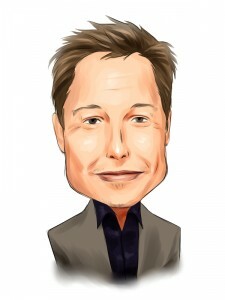 This is an overwhelming response in favor of Tesla Motors Inc (NASDAQ:TSLA). Does this mean the company will come out on top in its battle against the state and its many dealerships? Nobody knows for sure right now, but it appears that the company has the backing of the public. For now, the battle in the Lone Star State continues. If nothing else, Tesla Motors Inc (NASDAQ:TSLA) knows that many people in the state have its back. Check back here for more updates on Tesla in Texas. When Does Tesla Plan to Unveil Its Newest Prototype? Tesla and Europe: A Match Made in Heaven?